Shawn’s life growing up was less than ideal, however, he overcame that to become who he is today. That does not mean he isn’t missing something in his life. What Shawn hadn’t realized, upon first meeting, was that Ethan could give him all that and more. 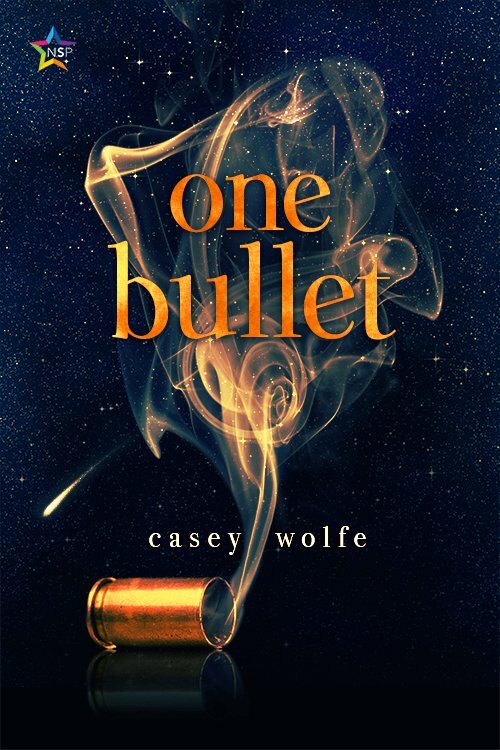 One Bullet starts off in a way that is sure to grab your attention and will keep it until the very end. The opening page could also be considered a trigger, so those with problems surrounding violence may want to keep that in mind. Ethan was a police officer who ended up leaving the force after being shot. What makes his situation different is that Ethan was shot by a fellow police officer while Ethan was off duty. The whole event leaves him with a major case of PTSD. To this day not only does he suffer from nightmares but also panic attacks when around members of the police force. That is everyone except Shawn. Shawn is a detective who happen to be on the scene when Ethan was shot. He also happens to be the only police officer who can talk Ethan down when he is in the middle of an attack. Slowly a relationship starts to develop from the bond that already existed between the two men. I love the way Shawn is so invested in Ethan, going as far as researching PTSD in police officers so that he has some understanding of what is going on with Ethan and how to help him. The men do have occasional roadblocks but come through them stronger than they were before. While some parts of One Bullet are predictable, it is an entertaining story and one that kept me reading till the end. I really enjoyed this book and would love to see more of Shawn and Ethan in the future.